Savvy Sisters is an idea developed one sunny afternoon in March by two sisters - Wendy & Jill. Wendy (my sister) and I had this idea to create an on-line community for like-minded women (both young and old) who wanted to share knowledge, skills, ideas. Generally supporting each other in the same way neigbours would support each other in the days when you knew who lived next door or down the road! Day by day we are building on this idea - our blog will track our journey and you are welcome to join us. ps. 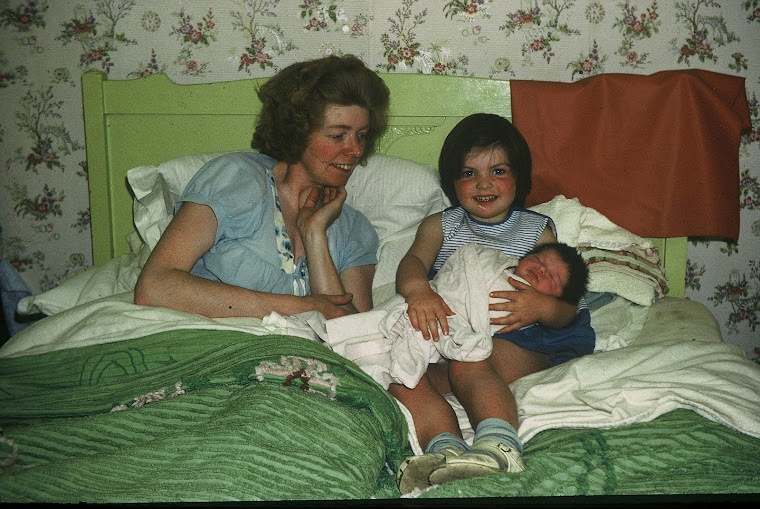 The photo is of 3 sisters who used to live in our home town - our dad took this photo in the 1960s. My Glass Projects Have Arrived! I had a great time and met some great people at the Glass Fusing & Slumping workshop last week. 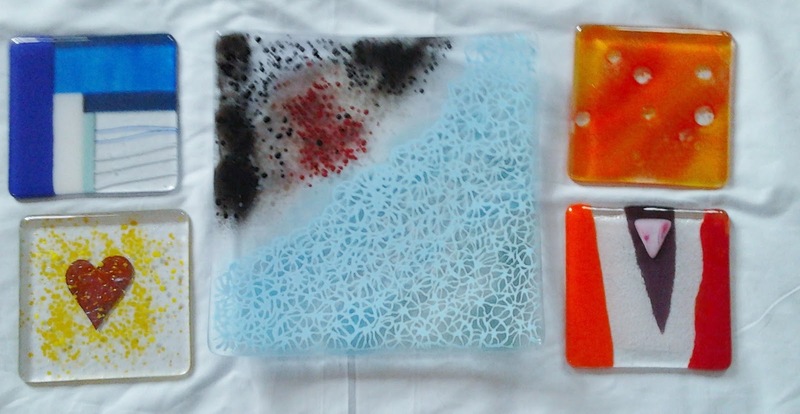 The tutor, Becky and the workshop at WarmGlass were excellent - I really wanted to bring all of their glass home with me, they had some lovely stuff. 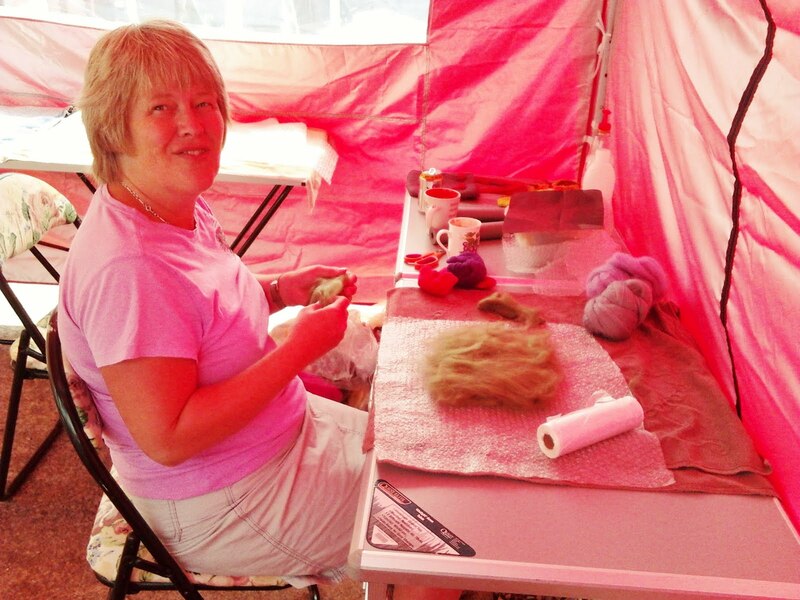 And Finally.... thanks to Lesley, we've now got 4 people on our next Felt Making Course on the 1st Oct!!! And in case you know of anyone who may be interested - I've reduced the cost to £30 for one or £50 for two! Loads seem to have happened in a flurry this week. Firstly, I booked our next felt making workshop at the Comeytrowe Centre on 1st Oct and already have two people booked (so please spread the word amongst any of your craft friends). 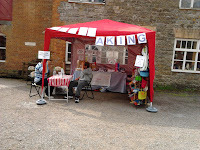 Then I received an email from Coldharbour Mill - they have sold 9 of our felt making kits and need some more!! Yesterday I received an email from Kate, from The Makery in Bath asking if we can hold a workshop on November 11th, followed swiftly by an email from Katie from Cafe Culture in Taunton saying that their room above their cafe is ready to hold workshops - so much is happening! Jeanette and Lydia also grouted their mosaic projects at our last Thursday craft club night so I am hoping that they'll send me some photos to stick on our blog. If you have an Ebay shop, Ebay provide graphs and reports on how well you are doing - ours showed that we've sold £280 of goods in the last 3 months - but it doesn't show you how much you profit you make after they have taken their fees. So - I decided to analyse my sales and calculated how much I had made after taking away the actual cost of the stock and the Ebay listing fees - in our case coming to £57. I'm so excited... Mum, Wendy & Bob have paid for me to go on a Glass Fusing and Slumping course for my birthday and its on Friday!!! Heres the link: warm-glass.co.uk - I will let you know how I get on next week! Its bliss - not only do they have a whole range of craft facilities on site, they provide inexpensive pampering services, swimming pools and saunas and excellent food - what more do you need for a superb holiday. Wendy is going for 5 days and will investigate the crafting scene over there - she'll feedback on her findings when she gets back. 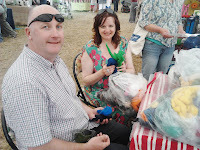 Its been over a week since I last blogged - 'Why' you may ask - well I've started loads of things and not finished any of them and I always like to post some photos of something that I've made or that someone else has. So this week I haven't anything to show for my time, which leads me to think I need to start focussing a bit more. So, this week I promise that I am going to complete at least half of these projects and will finish them all before I move onto anything new! Talking of new projects, our little Thursday night craft club is going to move onto making something from recycled material after we have finished our latest projects. I think we should have a competition to see who makes the best recycled product - I will think of a suitable prize!! We set up a our Savvy Sister's shop on Ebid.co.uk this week - SavvySisters Ebid Store. So far, we haven't had any sales but fingers crossed. We are getting quite a few sales via Ebay, a few through Amazon and of course we seem to be selling a steady trickle through Coldharbour Mill. 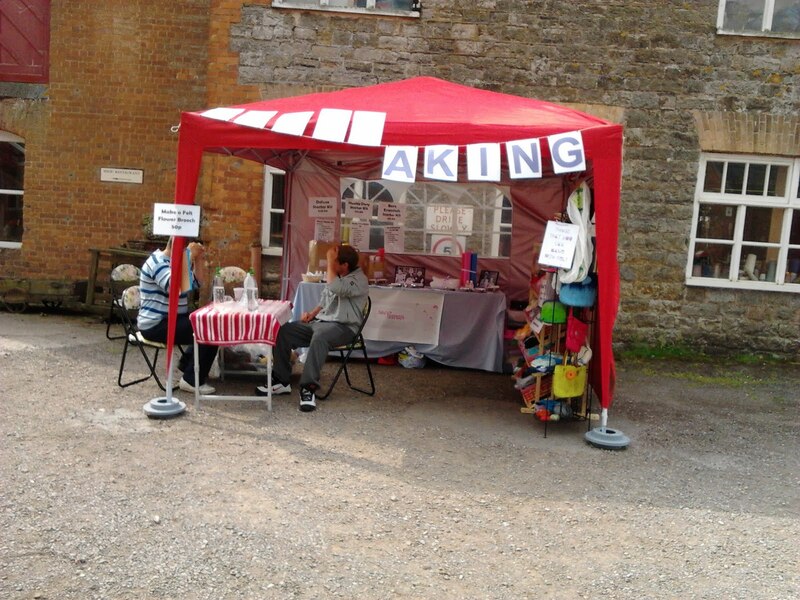 Wendy has taken our felt making kits to some of the shops in Oakham to see if they will stock them and she has also made contact with a lady who is interested in running felt making workshops with Help the Aged. So, slowly but steadily our little business grows. Mosaic has been the focus of our Thursday night craft club, we haven't got any completed articles yet, they still need grouting so watch this space - we should have some lovely photos for next week. Sadly we are losing a member of little club - Eva, she is leaving Taunton to start a new job in Gloucester. 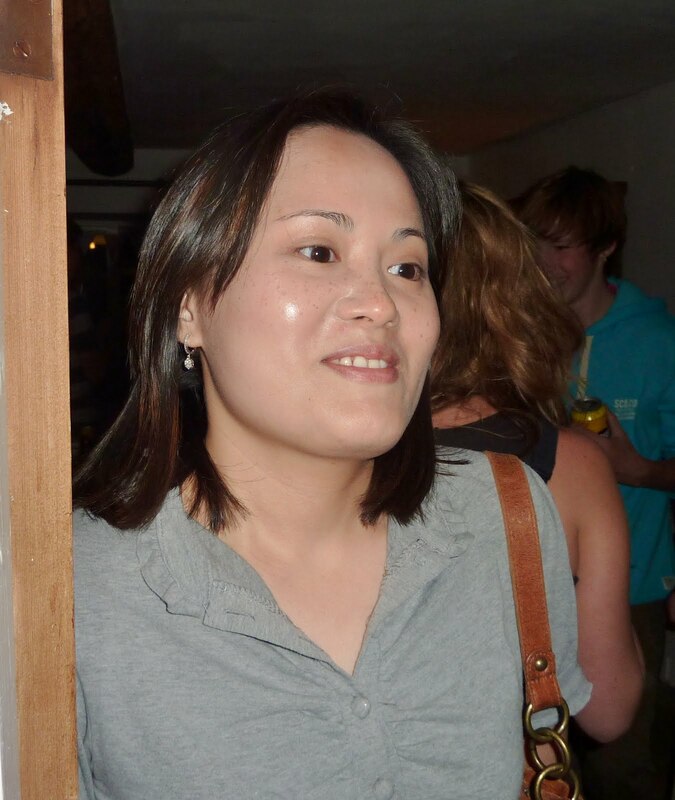 We'll miss her cheerfulness but wish her good luck with her new venture! 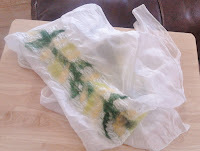 Well, its well over a week since I last blogged - I've been soooo busy. 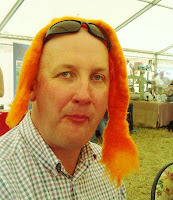 Rob found a new use for the wool! We met a fascinating lady at the show who worked in Tajikistan, next door to Afganistan, as a teacher. In addition to working with children she also worked voluntarily with women who were ostracised from their community. She believed that felt making would be an ideal confidence builder for these poor ladies and possibly a way for them to earn a little money. She is going to keep in touch and hopefully will be able to write a regular piece about her work over there on our website once its up and running. 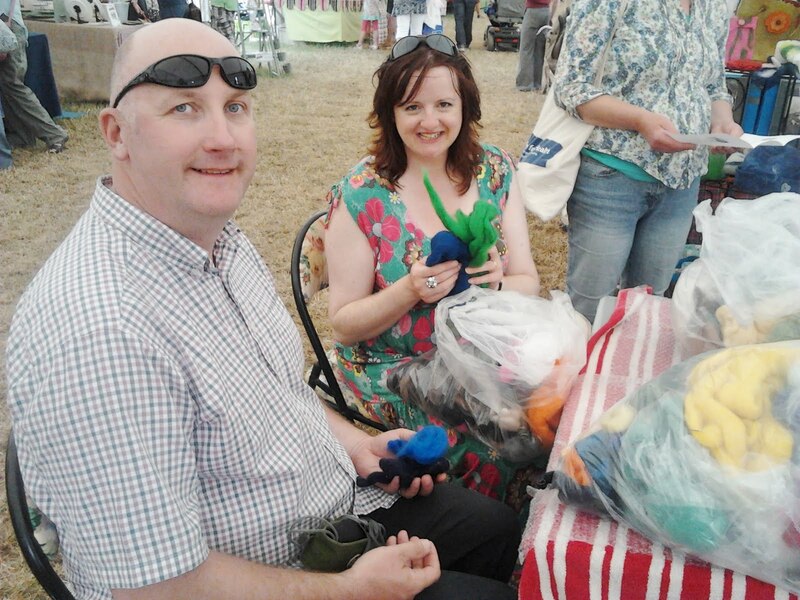 We did really well, sold loads of starter kits, wool tops and made quite a number of flower brooches. One young girl (Pickle Lily) from the comment below - was really interested and is now spending many a busy hour making felt presents for her friends and family. Its great when we spark off such enthusiasm, she has even written her own instructions!! Pickle Lily's Felt Flower Brooch Instructions. Coldharbour Mill had sold 3 out of the 4 kits that I originally dropped off at their shop a few weeks ago and asked me to give them 9 more, we've hopefully started a little felt making craze. Finally - I spent whole of last week on a Prince2 Project Manager's course up in Bristol. It was very intense and I'm not sure that I've passed :-( fingers and toes crossed I would rather not have to retake it! We are off to Dunster Country Fair tomorrow and are busy getting the stall together. Jeanette from our Thursday craft night is coming to help me as Wendy is working. I'm determind to travel a little lighter than last time - I think I took everything including the kitchen sink to the Taunton Show - my challenge it to fit everything into the car including Scott. I've coerced Scott (my son) into helping us with the fetching, carrying and setting up of the stall - no doubt it will cost me dearly, probably a new pair of trainers! Although we didn't get enough folk to run our first Taunton workshop, the adverts for the workshop found us a new member called Maria for our Thursday craft get together. Maria came along to my house on Saturday and we spent a very pleasant day felting under the new gazebo in our back garden. 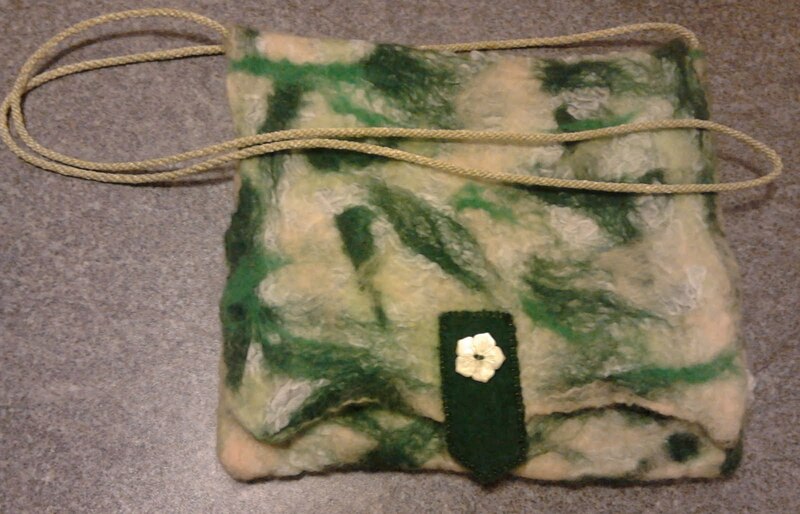 Maria made a felt bag, she has promised to send me a photo of the finished product and I made a silk nuno scarf. As usual Wendy has also been busy, she has finished off her felt underwater scene that she started on holiday. Its truly beautiful - I don't think the photo does it justice. We're are two sisters who are also best friends despite now living 200 miles apart. 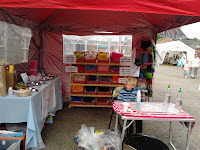 We are busy mums, with 3 and 2 grown up children respectively, a husband and 2 dogs each. 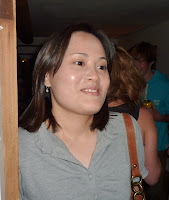 Wendy works as an HR Officer for a large mail order clothing company and up until the end of March 2011 I worked as an Information Systems Manager for the local hospital until I left to follow our dream which is to create Savvy Sisters.